If you are reading this book, you probably have a loved one serving in the Army. This is the new and revised edition of my original book, Your Soldier, Your Army—A Parents’ Guide, published in 2005. A lot has changed since then and I, along with the Association of the United States Army’s Institute of Land Warfare, decided it was time to update the original book. In the 12 years since the original release, I have continued to get feedback from so many people from all over the United States—moms and dads, spouses, Soldiers and civilians—about how my book has helped them to cope with and understand the Army. Their words, letters, cards and feedback have been a source of great pride for me and, at times, have given me strength. The fact that I continue to meet people who have recently read the book, and that AUSA continues to get requests for it, tells me that there is still a great need for it. And, as the original struck such a chord with readers, I have tried to keep as much of it as possible, merely reworking, editing and adding new material as needed. 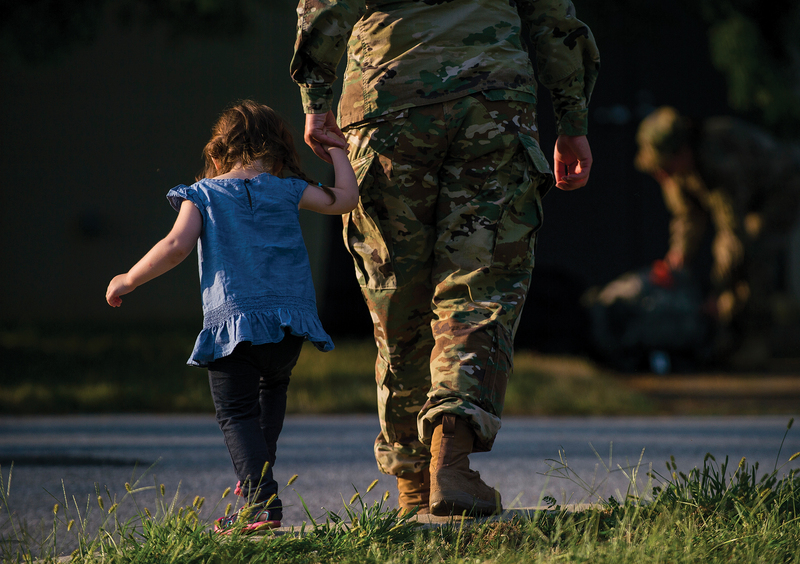 One significant change is reflected in the deletion of the original subtitle, A Parents’ Guide; this revised edition is not just for parents—it is for any family member of a Soldier. My perspective has also changed since 2005. My husband retired from the Army in 2008, after 36 years of service. Our two sons are still on active duty, both helicopter pilots and now both married with children. Since 2002, we have had one or both of our sons deployed at any given time and for varying lengths of time to Iraq, Afghanistan and Korea. Sometimes, I have trouble remembering how many times we have said good-bye, but the homecomings remain as blessings never to be taken for granted. My husband and I are on the sidelines now, cheering on this next generation of Soldiers and families. Now we see the life we once lived through the eyes of our sons, their wives and our four young grandsons. The need for this book came out of my own fears and stresses when our sons began deploying to combat zones early in their careers. I realized then that there was not a lot of information out there for parents of Soldiers. The Army had made great strides in educating and providing for Soldiers’ spouses, but there just wasn’t much for other family members. The war in Iraq had begun and, with both of our sons deployed in the same unit, I knew that if I were concerned and worried, I could only imagine how stressful it was for the moms and dads who had never been in the Army and who knew little or nothing about what their son or daughter had chosen to do. In a peacetime Army that may not be as critical, but during a time of war and with almost every unit deploying at one time or another, I knew that there was a real need for information for Soldiers’ families. My goal back in 2005 was—and continues to be today—to share, teach, comfort and ultimately help others experience the joys that come with serving this nation. Whether it is you, someone in your family or someone you know who is in uniform, I hope this book opens your eyes, ears and heart and helps to give you the resources, the strength and the courage you may need. It is not easy having a loved one in the Army, especially in today’s climate of unrest in so many places around the world. Copies of this publication are available free of charge. To order, please e-mail [email protected] and include your name, a shipping address and how many you'd like to order.